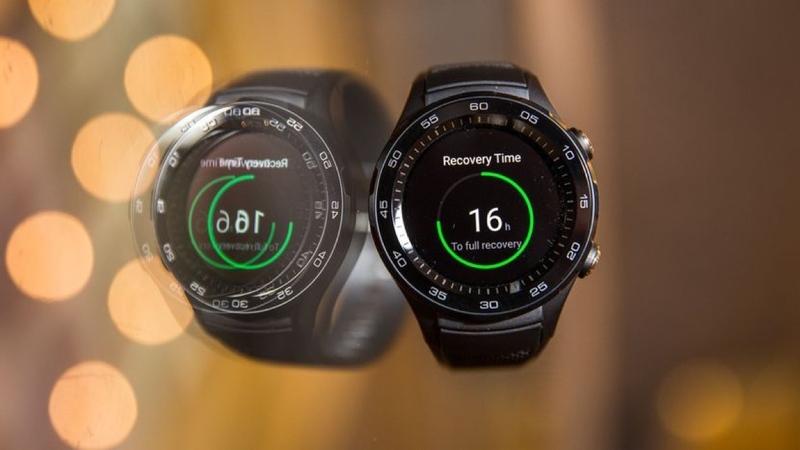 "I am always confused as to what smartwatches are for when we have smartphones," said Eric Xu Zhijun, one of Huawei's rotating CEOs, at the company's Global Analyst Summit last year. At the time, it was a quote which raised eyebrows. And understandably, too -it's not every day you see the head of a company denounce something so strongly in public. Not least because, you know, Huawei actually makes smartwatches itself, and this came just a short while after it released the Huawei Watch 2. Fast forward a year, after another one of the rotating CEOs, Richard Yu, indicated that the company doesn't feel any pressure to release a follow-up to the Watch 2 because it's still selling well, and the company's stance still feels... odd compared to its rivals. There's no consistent launch cycle in place, and, from what we've heard directly from the company, no real ambition to create wrist gizmos that really push the boat out and compete with other Wear rivals or even Apple. And it's a feeling that was compounded earlier this week when reliable leaker Evan Blass revealed that the company's next smartwatch release will be... er, the Huawei Watch 2 2018. As you can probably guess from the name, the problem with the (probable) Watch 2 2018 is that, well, it doesn't appear to be much different to what the Chinese giant released a year ago. The sporty design is the same, which is a shame, considering the original Huawei Watch is still one of the nicer looking Wear smartwatches on the market, and the spec sheet (save for a couple of new sensors) is identical. It's hard to get excited about, particularly if it turns out to be the true follow-up to the Watch 2. It's precisely these kind of actions that show us the problem isn't smartwatches, as Xu Zhijun suggested. No, reader, the problem is Huawei. It's clear that Huawei's lack of passion for the smartwatch hasn't held it back in the sales department, otherwise it would have likely ducked out already, but how long will it be able to ride the wave of its first two smartwatches? Considering the Wear OS rebrand, and with a Pixel Watch potentially on the way later this year, its direct competition is set to become much, much stiffer. Add that to the next-gen chip from Qualcomm set to land in smartwatches by the end of 2018, and it makes the potential Watch 2 2018 release even more perplexing. So, what does Huawei need to do to break its form and start making its smartwatches interesting? Well, the first and most obvious step is to start selling devices it actually believes in. For as contrived as the likes of Apple and Samsung's announcements for its wearables can come across, it's at least more believable that some push for innovation went into their creation. And as a result, you can appreciate the creative risks taken within existing platforms, as well as the fresh ideas we've seen in smartwatch design. Not doing so isn't going to send the company tumbling, granted, but if it's going to keep selling smartwatches Huawei might as well take it seriously. We'd recommend taking a step back and then taking things up a notch with a true Huawei Watch 3 (we have some ideas) and actually show us some ambition. And, ideally, sooner rather than later.